No matter the season – winter, spring, summer, or fall – a visit to a garden conservatory transports you to other lands and different climates. And provides an indoor respite. While most conservatories are filled with tropical plants that wouldn’t survive the outdoor cold, a few venture into showcasing other botanicals while some become an oasis for butterflies. 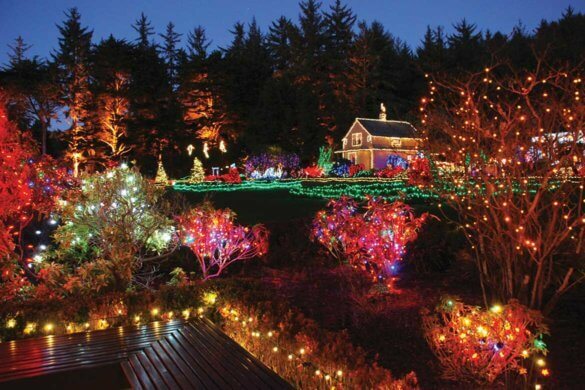 Here are a few favorites worth a visit any time of the year. Indoors under glass, this conservatory is a garden delight. 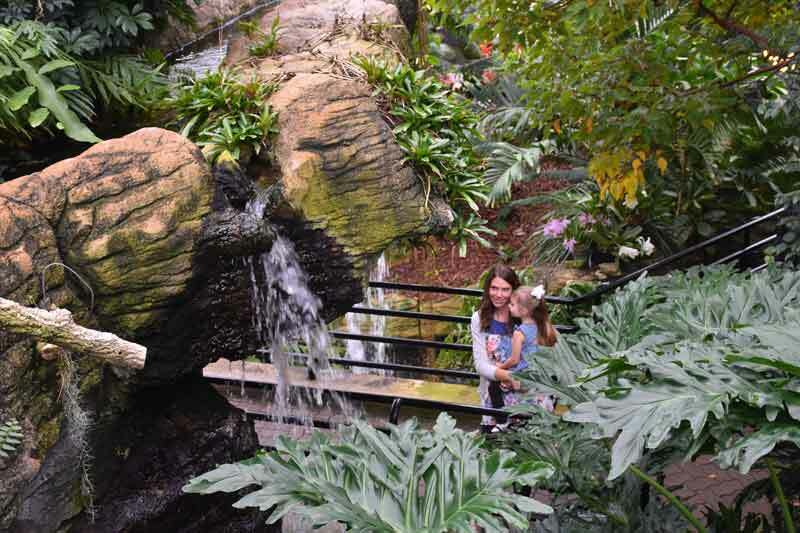 A Showcase Garden with lush seasonal displays, a Tropical Garden with orchids, palms and a cascading waterfall, plus the Sonoran Desert Garden are all housed comfortably inside the 25,000 square foot Foellinger-Freimann Botanical Conservatory in downtown Fort Wayne, Indiana. 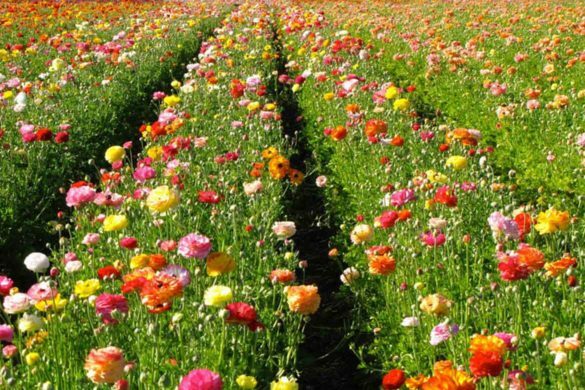 With 1,200 plants (over 500 species) and 72 different types of cacti, there is always something in bloom. 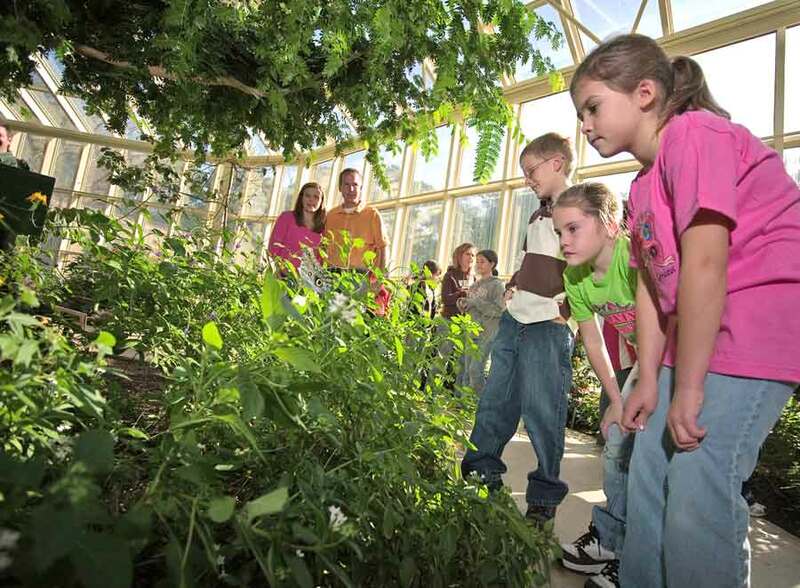 An impressive calendar of classes and exhibits, including many interactive exhibits for children, make the conservatory a Fort Wayne destination year round. When the weather warms up in this northern Indiana town, take a stroll through the conservatory’s four outdoor gardens. Admission charged. www.botanicalconservatory.org. On the dusty and dry High Plains of West Texas, the tropics grow inside the Mary E. Bivins Tropical Conservatory at the Amarillo Botanical Gardens. This oasis in the middle of the Texas panhandle is filled with orchids and tropical plants plus an indoor waterfall, creating a picture perfect backdrop against the pyramid-shaped glass structure. The facility is noted as a “green building” for its self-contained system that uses minimal energy. Named for local philanthropist Mary E. Bivens, who along with her husband Lee were one of the largest cattle operators in the world in the early 1900s, the conservatory is a testament to Mary’s dedication to leave the world a better place than she found it. Admission charged. www.amarillobotanicalgardens.org. Impressive with its 70-feet tall skylight peak, the 6,444 square foot Sun Garden Conservatory at the Quad City Botanical Center offers a breathtaking tropical paradise on the edge of the Mississippi River in Rock Island, Illinois. Hundreds of jungle sized palm trees and exotic tropical plants and flowers fill raised garden beds surrounding the curving brick walkways. This Hawaiian island-inspired garden includes a stunning 14-foot waterfall, reflecting pools with colorful Koi fish, and giant rainforest murals. In the winter months, forget about the snow. There’s one ton of sand indoors, so bring your sand pails and shovels for playing. Admission charged. www.qcgardens.com. 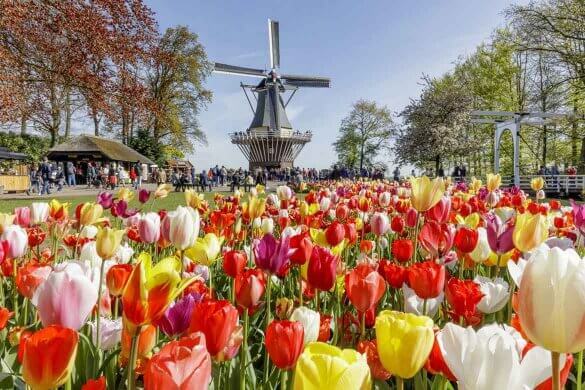 Fitting for the town that chocolate built, the Hershey Gardens in Hershey, Pennsylvania features a dozen themed gardens including a children’s garden with plants scented, named or colored chocolate. The new Milton & Catherine Hershey Conservatory serves as the entrance to the outdoor gardens. Upon entering, look up to enjoy the 65 stained glass butterflies suspended above the entrance. 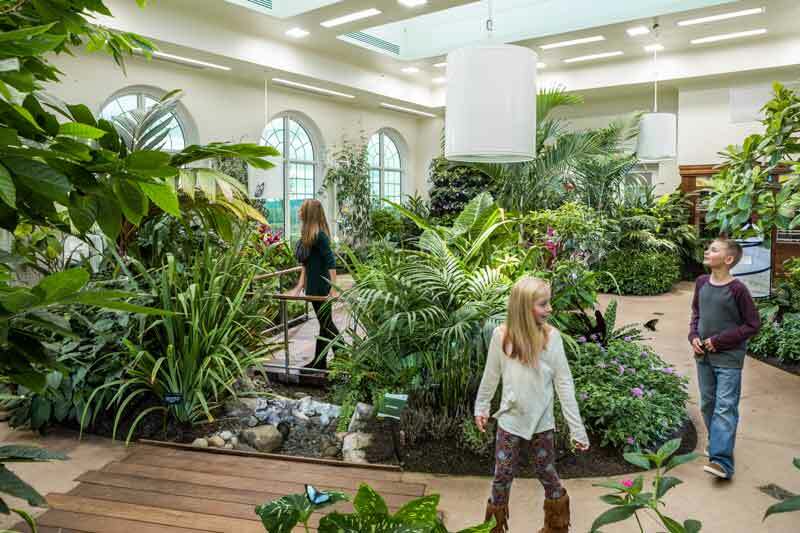 A feature inside the 37-foot skylight-topped conservatory is the Butterfly Atrium where guests can visit the tropics and enjoy 600 exotic butterflies flying among lush tropical foliage. In keeping with the chocolate theme, the Butterfly Atrium has a cacao tree. Frequent “Cocoa Cart Conversations” explain how this tree produces the beans used to make chocolate. Admission charged. www.hersheygardens.org. One of the oldest conservatories in the country, the Phipps Conservatory was a gift to the City of Pittsburgh, Pennsylvania from philanthropist Henry W. Phipps, who wished to “erect something that [would] prove a source of instruction as well as pleasure to the people.” The original glasshouse with nine display rooms opened to the public on December 7, 1893, and showcased many plants displayed at the World’s Columbian Exposition in Chicago. Celebrating 125 years in 2018, the conservatory now has 13 indoor rooms filled with exhibits and plants: the Sunken Garden, Palm Court, Desert Room, Fern Room, Orchid Room, plus many themed areas like the Victoria Room, where a large central pond reflects the glass dome, and the Broderie Room modeled after the formal gardens of a French chateaux during the reign of Louis XIV. Phipps is one of only a handful of conservatories that still produces full-scale seasonal flower shows each year like the Orchid and Tropical Bonsai show in January and February. 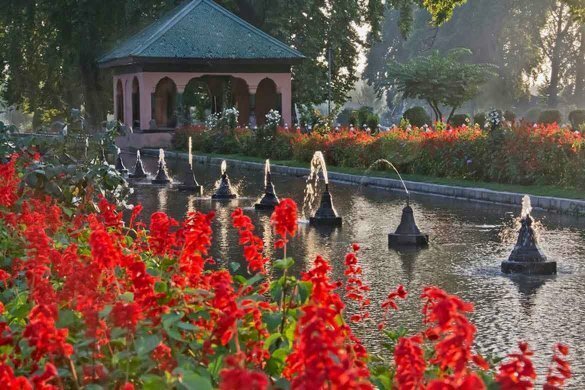 Seven outdoor gardens complete the flora and fauna experience at this magical destination. Admission charged. www.phipps.conservatory.org. A relatively new conservatory is the Marjorie K. Daugherty Conservatory at the Lauritzen Gardens in Omaha, Nebraska. This $20 million, 17,500 square foot “crystal palace” is perched high on a bluff overlooking the Missouri River and features an ever-changing gallery space of floral displays and seasonal horticultural designs. 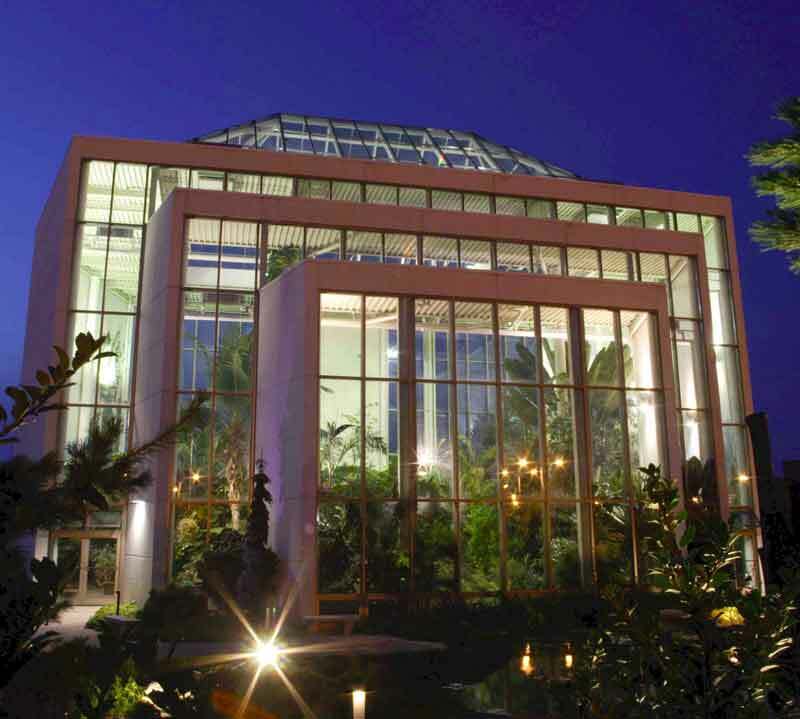 Housed under the 12,000 panes of glass are more than 3,000 plants showcased year-round in three distinct garden settings: a tropical house with soaring palms, a temperate house with plants of the southeast U.S., and an area for seasonal displays and events. 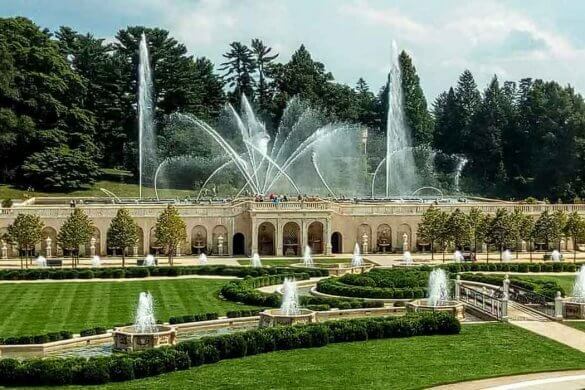 Other features include a ten-foot waterfall, a large pool with Victoria water lilies, and an outlook over the Missouri River valley. 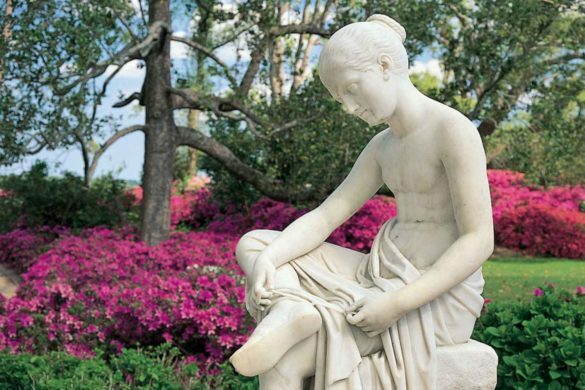 Surrounding the building is 100-acres developed into a multitude of gardens, including rose, herb, children’s, railroad, Victorian, woodland, among many others. 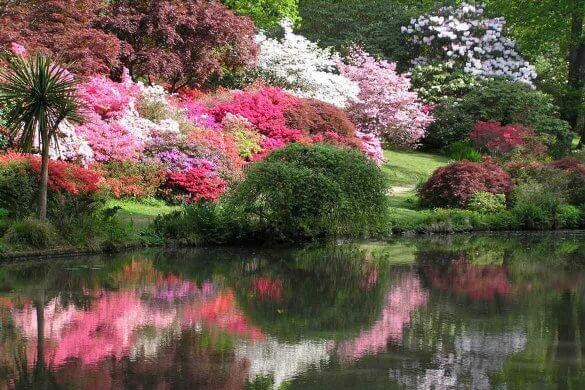 www.lauritzengardens.org. This glass conservatory, the largest in the southwest, brings a tropical rainforest environment to the Arizona desert in Scottsdale, Arizona. Butterfly Wonderland includes the largest indoor butterfly display in the United States where more than 3,000 butterflies from around the world freely fly among the tropical plants and flowers. Make a visit to the Emergence Gallery for an up close look at live chrysalis as metamorphosis takes hold and transforms these into butterflies in real time. Other features include rainforest reptiles, honeybee displays, and fresh water aquariums with colorful tropical fish. 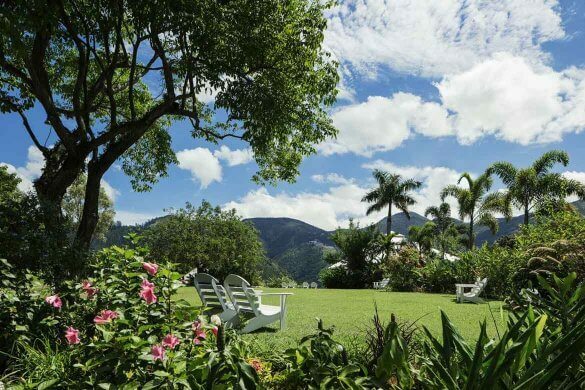 Events range from story time for tots to yoga in the rainforest. The theatre offers a film on the life of a butterfly, complete with 3D technology of butterflies jumping off the screen. Admission charged. www.butterflywonderland.com. 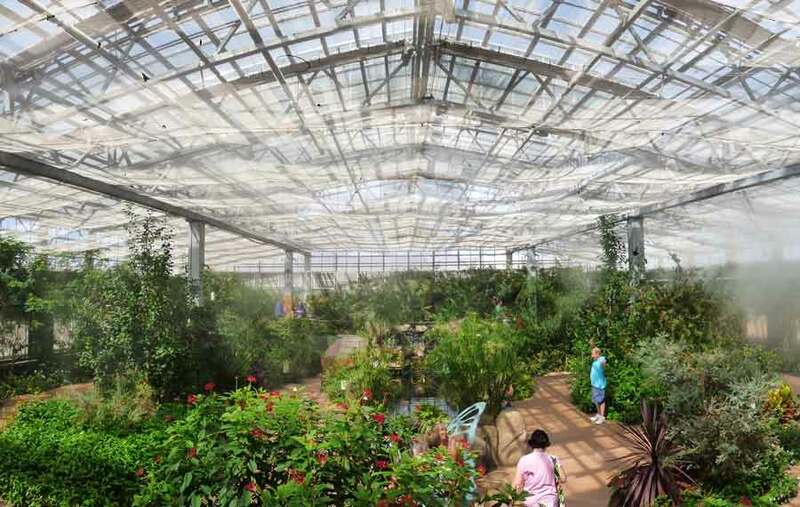 Another tropical butterfly conservatory is the glass-enclosed Cecil B. Day Butterfly Center at Callaway Gardens in Pine Mountain, Georgia. Within the octagonal shaped center, topped by 1,084 glass panes, guests walk among the butterflies and tropical floral displays surrounding a 12-foot waterfall. Before entering, stop at the Transformation Station to see butterfly chrysalides from around the world. Here the chrysalides hang during metamorphosis as they transform into butterflies. The center purchases most of its chrysalides from reputable butterfly farms in Costa Rica, Malaysia, the Philippines, and Africa whose operations promote habitat conservation in rain forests. The new butterflies are released into the Center’s conservatory that houses more than 1,000 free flying butterflies and tropical birds. Surrounding the Butterfly Center outside are 1½-acres designed to attract native butterflies and birds. 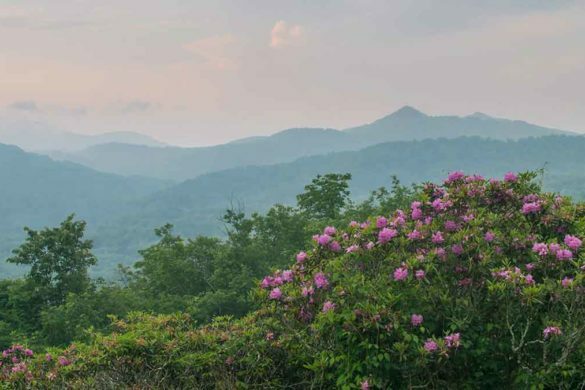 Spend more time exploring Callaway’s 45-acre Meadowlark Gardens with three walking trails bound by hollies, cultivated rhododendrons and wildflowers. Admission charged. www.callawaygardens.com. 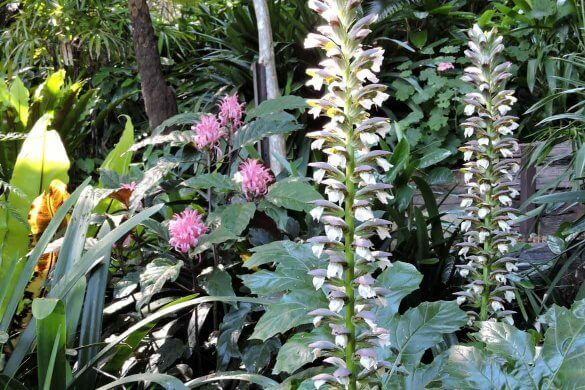 Located on the Pacific Coast Highway, the Sherman Library & Gardens features a ¼-acre tropical conservatory filled with orchids, heliconias and gingers in full bloom. www.slgardens.org. 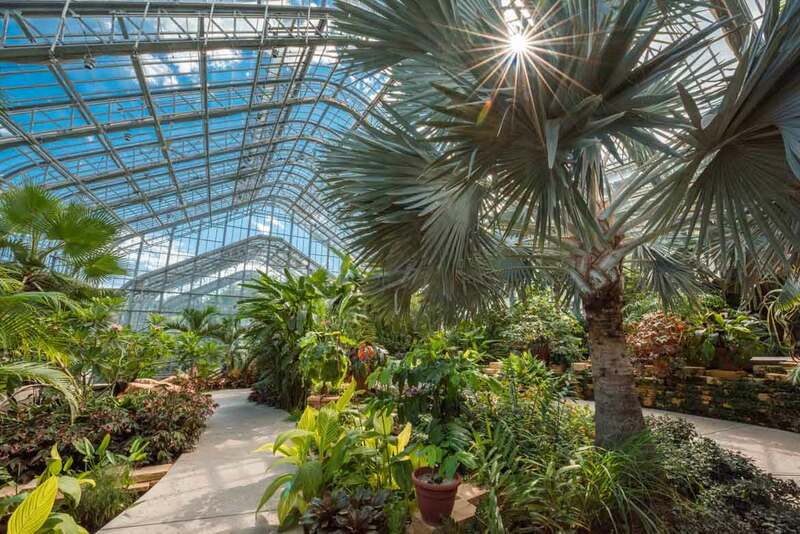 Thousands of plant species are on display throughout eight rooms in the conservatory, one of the largest in the nation with nearly two acres of indoor space. 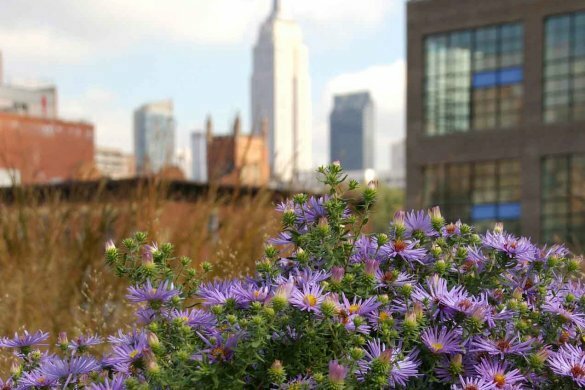 No admission is charged for the conservatory (though donations are encouraged) and weekly programs, classes and tours are offered for all ages year round. www.garfieldconservatory.org. 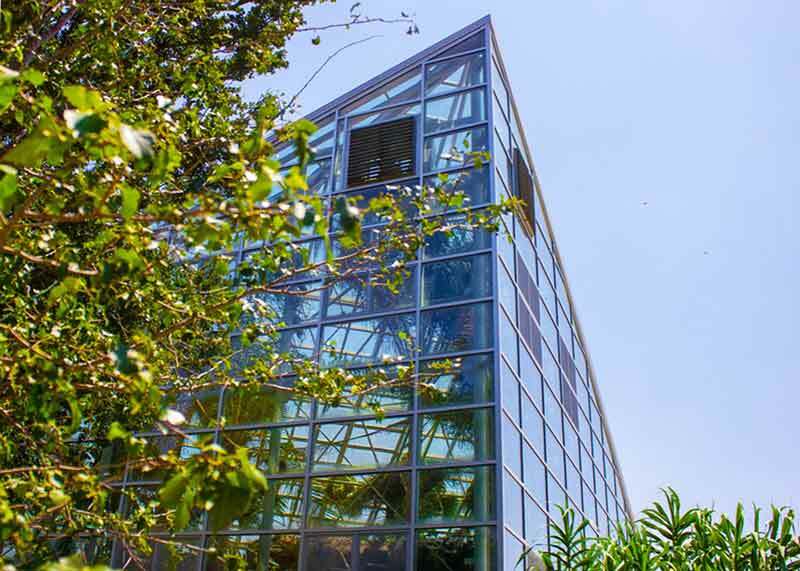 Built in 1933 at the height of the Art Deco era, the Krohn Conservatory showcases more than 3,500 plant species from around the world, plus a year round schedule of special exhibits and programs, including the “Butterfly Show,” where thousands of butterflies fly throughout the show room. www.cincinnatiparks.com. This conservatory is another historic conservatory, dating back to the early 1900s. 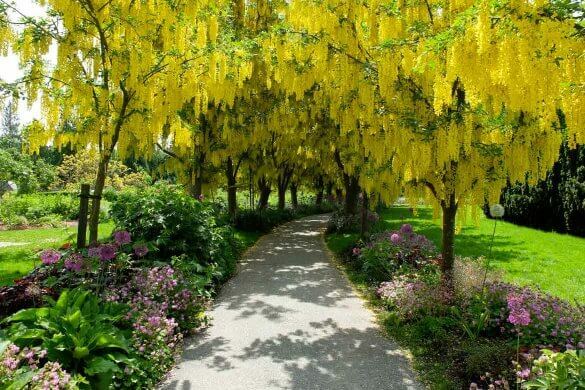 It is housed in Belle Isle Park, a 2.5-mile-long island park in the Detroit River between the U.S. and Canada. The main conservatory is divided into five distinct sections: Palm House, Tropical House, Cactus House, a sunken Fernery, and the Show House. www.belleisleconservancy.org. The gardens’ Lena Meijer Tropical Conservatory (Michigan’s largest) is five stories filled with tropical foliage, waterfalls and streams and a tropical butterfly exhibition in March and April. Don’t miss the orchid wall, an ever-changing impressive display from the conservatory’s collection of 3,500 orchids. Other indoor gardens include carnivorous plants, an arid garden, a Victorian garden and a seasonal display greenhouse. www.meijergardens.org. Indoors at Longwood Gardens is just as stunning as outdoors. 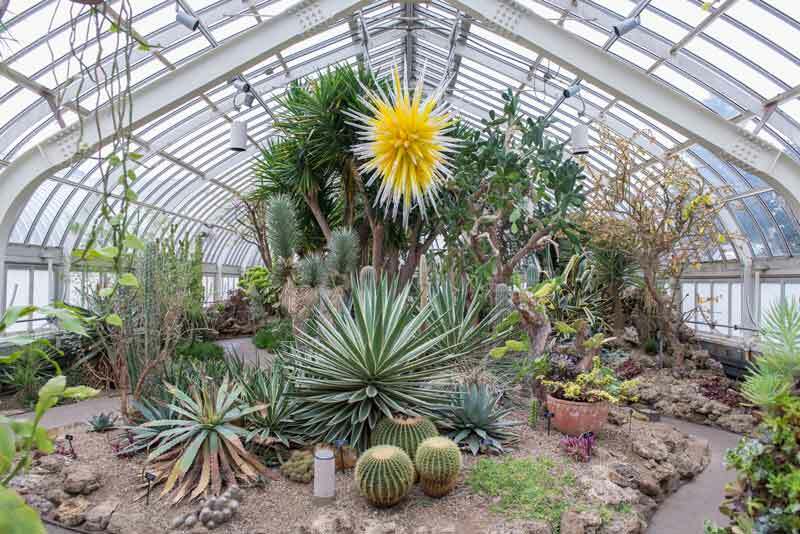 Displayed under glass are numerous themed areas: the Silver Garden, Tropical Terrace, Estate Fruit House, Organery, Cascade Garden and the East Conservatory with its floral displays under a half-acre glass. Numerous special events keep the focus indoors, including the Orchid Extravaganza in January through March and the Winter Blues Festival showcasing blue plants from poppies to hydrangeas. www.longwoodgardens.org. 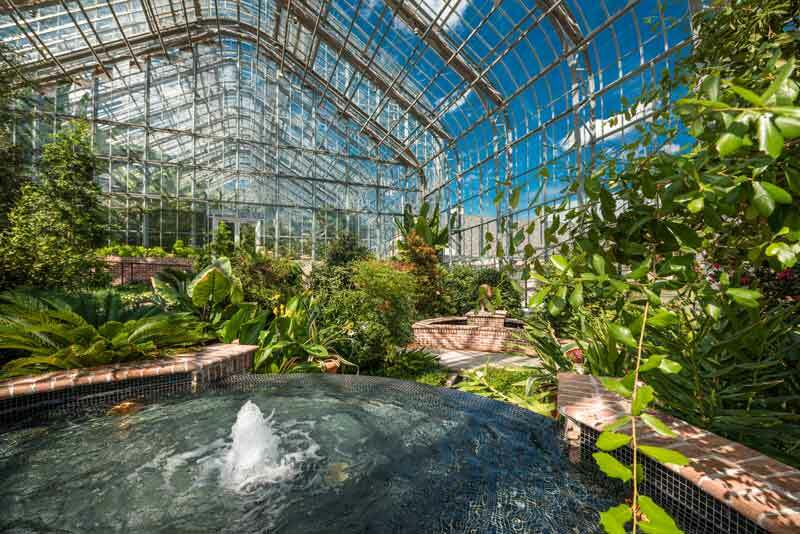 While not a formal conservatory, the garden has nine thematic greenhouses with collections including penjing (miniature trees in containers), orchids, ferns, cacti, tropical food plants, and begonias (begoniaceae). 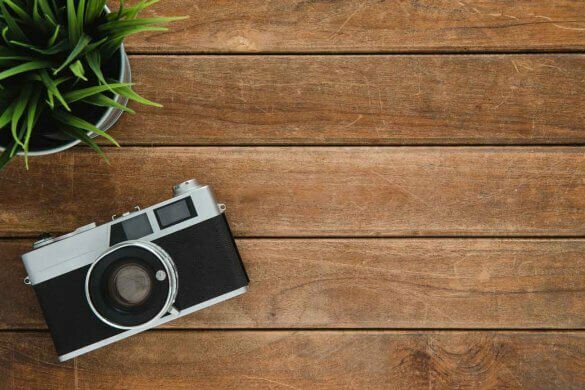 The garden is part of Space for Life, a museum group of four museums that are all about nature: the Botanical Garden, the Insectarium, The Planetarium and the Biodome. www.espacepourlavie.ca. Crowned by a 63-foot-tall dome, the conservatory is 11,000 square feet under glass filled with exotic and unusual plants from around the world, including 200-plus orchids in bloom at any given time, palms, cycads, a waterfall, and a cacti and succulent collection, plus a display wing with a thatched cottage and garden. www.lewisginter.org. Just down the hill from the U.S. Capitol building, the U.S. Botanic Garden Conservatory features two courtyard gardens and 10 garden rooms under glass, totaling 28,944 square feet of growing space. 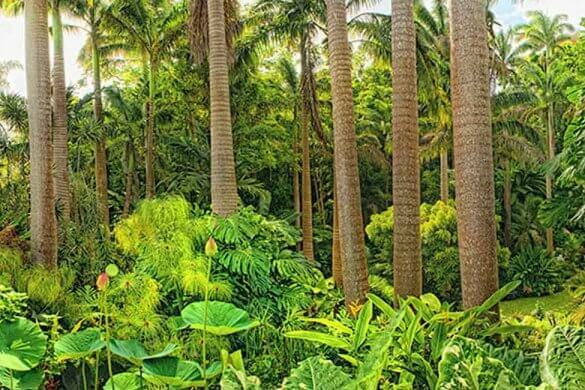 The conservatory is a living museum of plant treasures, including orchids, primeval with ferns and ancient plant groups, Hawaiian plants, Mediterranean, medicinal, desert, and a changing display of rare, threatened or endangered plants and habitats. www.usbg.gov. Beverly Hurley is the editor of Triangle Gardener magazine in North Carolina. 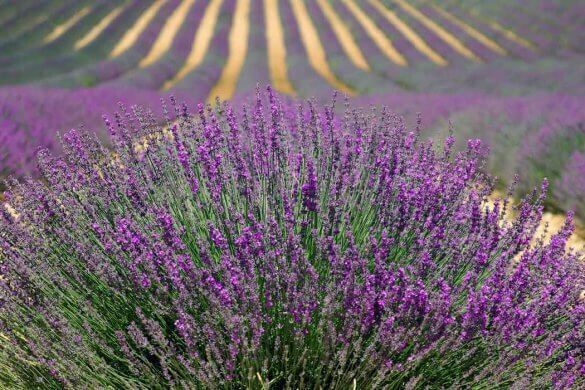 When she is not gardening, she loves to travel. Copyright © 2016-2019. 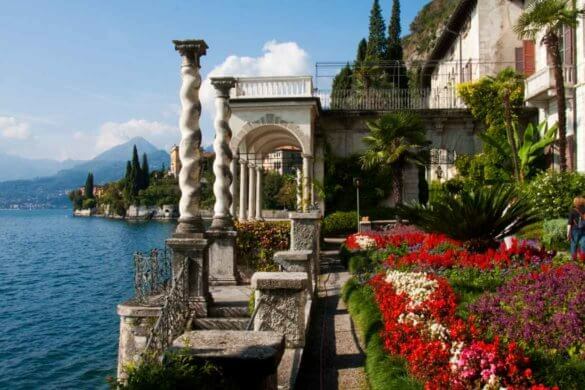 Garden Destinations, LLC. All Rights Reserved.